Join Dr. Yvonne, the best-selling, award winning author of ‘Every Word has Power’ (now in eleven languages), world renowned speaker and innovative trainer of NLP and Hypnosis. 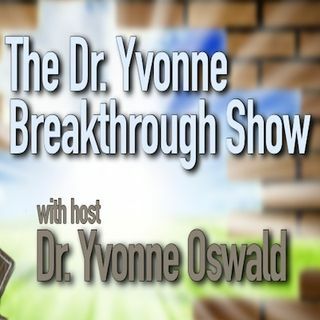 Tune in weekly for an exciting and daring hour of powerful shifts of consciousness that will make you think and open up your life to new and dynamic ideas. Find your brilliance, get strong, capable and confident as she interviews experts, answers all your questions and gives you practical tips for clear and simple ... See More solutions for happiness, wealth, health, and high powered success. Maximize results to your personal and professional goals sweetly and easily.